1) can efficiency with no waste in production and consumption be achieved in an unregulated healthcare market conditions? and 2) where does the health market stand on the spectrum from almost perfect to imperfect market without government regulations. 2. Transactions are impersonal with sellers unable to considerably influence consumer’s choices, especially in situations where engaged as ‘perfect’ agents. First, considering the random nature of timing illness with uncertainty of financial implications of these episodes, there is a significant element of uncertainty involved. This eventually creates demand for insurance (mostly private in US), which unfortunately further brings in new sets of challenges hampering equitable as well as efficient distribution of healthcare. In ideal situations of perfect information of risk, in a free market fair (actuarial) premiums can be charged for each individual catering to individual gains in utilities. However in the real world, sicker individuals superior knowledge of their medical conditions who can anticipate greater downstream healthcare expenditures are more willing to seek insurance and naturally incentivized for lower premiums by signaling false information. To address the challenges faced with incorrect risk signaling and adverse selection, private health insurers screen customers and offer a) varying levels of contracts with deductible and or co-insurance further inducing self-selection and/or b) increase overall premiums to cover the expected losses with these higher risk patients. In these situations high-risk buyers likely prefer complete coverage with lower risk participants preferring cheaper contracts with high deductibles or leace the insurance market, further compounding the problem of adverse selection. Second, an additional challenge inherent to any form of insurance coverage to overuse or maximally use services beyond the point of deriving maximum utility or benefit (moral hazard), leading to inefficient use of resources, which in turn has lead to gatekeeper mechanisms as well with disincentives such as copayments/deductibles. These insufficiencies threatened due to adverse selection created by US private insurance markets contribute to higher absolute transaction costs, large inequality in access to healthcare and large segment of the population being uninsured and can potentially be rectified by a universal public compulsory coverage to pool population heterogeneous risk as well resolve inequitable access to healthcare, a subject heatedly debated in our current election cycle. Third, a major reason for healthcare market insufficiencies in IS healthcare market can be attributed to the complex interplay of asymmetrical (unequal) information in the context of patient- physician agency relationship. It is an established fact the patients (consumers) have inherent inability to completely comprehend the quantity and quality of health services needed to maximize their individual utility; more pronounced in situations of acute illness. This inherent limitation of being relatively uninformed to for rational choices in these complex situations, has led to the delegation of physician responsibility for decisions as an informed agent (agency relationship). A central challenge in this situation how best interest among contracted parties do not diverge and the inherent impact of agent’s conflict of interest interfering with consumers interest. Fourth, there is an old saying, “if you build it they will come,” equally is true in our medical profession. One can argue that the supplier-induced demand (excess healthcare demand beyond what would have occurred in market in which patients make rational decisions based on being fully informed) can be linked with the how the financial incentives are structured in the US healthcare market. Under the predominant fee for service format of healthcare delivery in US, its not uncommon for providers (firms/physicians) to promote consumer demand for services, especially when consumers are likely face no additional costs. A classical example that is frequently cited in this case is a study by Gruber and Owings elegantly demonstrated that 13.5% fall in fertility over the 1970-1982 time period likely attributed to obstetricians/gynecologists to substitute normal childbirth with a more highly reimbursed alternative, i.e cesarean delivery. This is a clear example of physicians inducing excess substitute demand when facing reduction in revenue generation with older paradigms. Moreover in US many health systems continue to physician groups owned with multiple studies suggesting excessive use of testing and procedures in these facilities. Furthermore, even to date many expensive procedures and tests, which remain lucrative from a supplier standpoint, are undertaken at a higher rate as buyers continue to have incomplete comprehension on their potential utility. For example, a recent survey among patients undergoing percutaneous coronary intervention for stable coronary artery disease, nearly 9 out of 10 believed it to reduce risk of mortality and heart attacks; while extensive evidence refute these perceived benefits. There are meaningful ongoing efforts targeting supplier induced demand by a) empowering patients via standardized evidence based decision aids, b) regulating treatment guidelines, c) reducing variations in practices via diligent performance measure assessment and incentivizing suppliers for quality vs. quantity, a theme becoming prominent in current US markets. However it is yet to be seen whether these emerging practices focusing on ‘value’ can triumph the incentives of the prevalent “free market” model. Fifth, while considering the ‘many buyers and seller’ assumption of perfect market, with an aging population as well significant rise in chronic diseases due to western world lifestyle, there seem to be no shortage of consumers (buyers) for healthcare in US. On the other end, it may not be true with significant variation noted in sellers available in healthcare market. The passage of affordable care act has indirectly encouraged ongoing trend of consolidation with creation of oligopolies (few sellers) and monopolies (one seller) such as regional accountable care organizations (ACO’s) aiming to promote efficiency through economies of scales and pass the savings onto consumers. However, the potential deviation from ideal competitive market conditions adversely creates milieu for price setting as well as a disincentive to efficiently allocate inputs for the desired health services outputs. For example, a study by Robert Wood Johnson, hospital (firms) consolidation generally has enhanced bargaining power with payers, resulting in higher prices for health services6. More importantly, the price increases dramatically increase, often exceeding 20%, when these consolidations have occurred in concentrated markets. Capps et al estimate that following the US policy change in 1993 that deregulated healthcare providers mergers, have contributed to relative increase in health market inefficiencies, with nearly 0.4-0.5% (approximately $10-12 billion annually) higher current healthcare expenditures as a result of these hospital consolidation trends. Many argue that although these consolidations result in higher services costs, but benefit consumers with potentially better quality and outcomes. However, a recent study by nonpartisan National Academy of Social Insurance (NASI) scrutinizing publicly available data on financial performance and quality measures suggests otherwise. The report confirmed that while per capita cost of care significantly increased with merging of hospital and physician groups (as also noted by RWJF report); these expansions did not improve clinical or financial efficiency and resulted in lowered marginal profits for these firms. In a specific example, merger of the among the top two hospitals in the country (Massachusetts General Hospital and Brigham & Women Hospital) resulting in the state’s largest healthcare provider (Partners) market of more than a third of hospital patients in Boston city (state of Massachusetts). The Boston Globe reports that since 2000, a major local insurer (Blue Cross) increased pay rates for Partners services by 75%, whereas neighboring providers with comparable quality outcomes measures while treating a sicker population was able to command significantly less imbursements for similar services. In fact, many insurers who initially balked at these increase rate hiked, gave away under enormous economic and political clout exerted by Partners. In spite of significant increase in prices for providing comparable services (that naturally should have maximize returns), its been reported that Partners operating profit has not exceeded 2 percent in this period and is much less compared with major teaching hospitals in other states, pointing towards the natural consequence of lack in production efficiencies noted with large consolidated oligopolies in other markets. Sixth, adding insult to injury and to counter increasing bargaining power of consolidated health systems in US, for profit insurance (payers) companies have also followed suit to balance the negotiating power with the providers. For example, earlier last year Aetna announced $35 billion deal to buy rival Humana that would create the second largest health insurer in US (33 million members). This announcement came at the heels of Anthem $47 billion offer for rival insurer Cigna that can result in the largest health insurer in US (>50 million members). Although these deals did not follow through, however any similar efforts in future will limit choices will further grow economic/political powers of these large payers as they have already sought out 20-40% hikes in premium rates for 2016 in guise for anticipated loses. In fact, Dafly and colleagues from Northwestern University exploring relationship between premium growth and changes in market concentration using a large employer-sponsored health plans enrolling over 10 million Americans, conclusively pointed the merger of two large insurance companies (Aetna & Prudential HealthCare) in 1999 resulting in 7% higher overall insurance premiums. Seventh, in contrary to view of ‘economies of scale’ from these consolidations benefiting favorable product prices to the consumers, we have actually observed the opposite unfavorable impact of these monopolized positions result in price setting for these services at a much higher cost than would be observed in true efficient (free) market. Barriers to free entry in the market further limiting healthy competition and consumer choices compound these challenges. Entry to the healthcare market from a supplier perspective entails significant capital needed to develop service lines, extensive training for specific provider (such as subspecialties) to practice, no compete provider contracts, significant state by state licensing regulation as well as individual system pervasive credential processes. The ongoing trajectory of healthcare consolidation in US and barriers to market entry, clearly deviates from basic principles of an ideal competitive market, resulting in demonstrable production inefficiencies, higher prices and no substantial improvement in quality of care. The rapidly developing duo-monopolist market of healthcare providers and insurance has practically ensured loss of most (or all) consumer/societal welfare gain had they been able to purchase the valued services in a regulated and competitive prices. Many argue the ongoing raising costs (welfare loss) passed out to buyers secondary to the ongoing monopolistic consolidations of direct (firms) and indirect (insurances) sellers in the healthcare market can only be realistically countered by consolidating consumer negotiating influence . A publicly operated insurance plan as initially proposed by President Obama, though never passed through legislation, appeared an attractive option that would have provided significant consumer welfare by allowing more benefit derived for the amount spend for healthcare by providing more choices would have ignited new competition and efficient suppliers to thrive as well as naturally weeding out incompetent market players. These extensive insights from literature provide a sobering reminder that while realistically impossible to conform to the ideal assumptions of ‘perfect market model’, unfortunately healthcare markets, especially in US, can easily be singled out as almost completely imperfect. The continued unwavering support to avoid regulation in our political circles fueled by ideological fantasies have further exaggerated market failures, reduced economic efficiency and further deteriorating social welfare. Though we proudly boast of the most advanced and expensive health systems in the world, but witness considerable inefficiencies as indicated by suboptimal performance on almost all established health system performance metrics. In summary, the current US healthcare system’s structure centered around the philosophy of ‘maximizing profit’ for service providers (health systems, insurers, pharmaceuticals) at the expense of significant welfare lose to those purchasing these services (government, employers and individuals). The unsustainable failures in current health market have rejuvenated extensive soul searching in US political circles on whether healthcare to be pursued as rights issue or continue to trade it as a commodity where the sole purpose is to maximize profit and personal utility? The road towards a single payer has merits, entails a difficult journey, a fight worth fighting for. 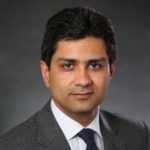 Khurram Nasir is an Associate Professor of Medicine at Yale University and the Director of Population Health & Health Systems at the Center for Outcomes Research & Evaluation at the Yale School of Medicine. This article originally appeared on LinkedIn here.